What does get out of jail free card mean? 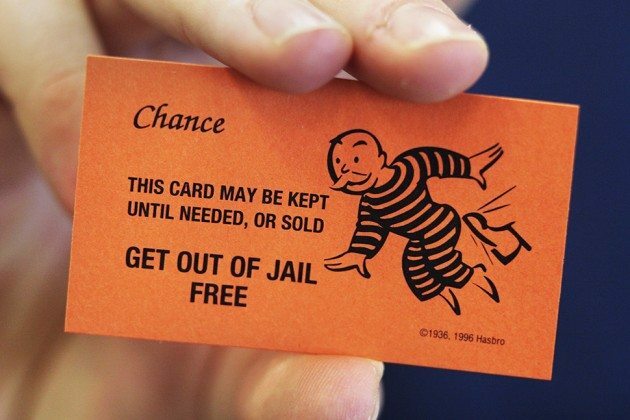 A get out of jail free card is a metaphorical way to refer to anything that will get someone out of an undesirable situation or allow them to avoid punishment. 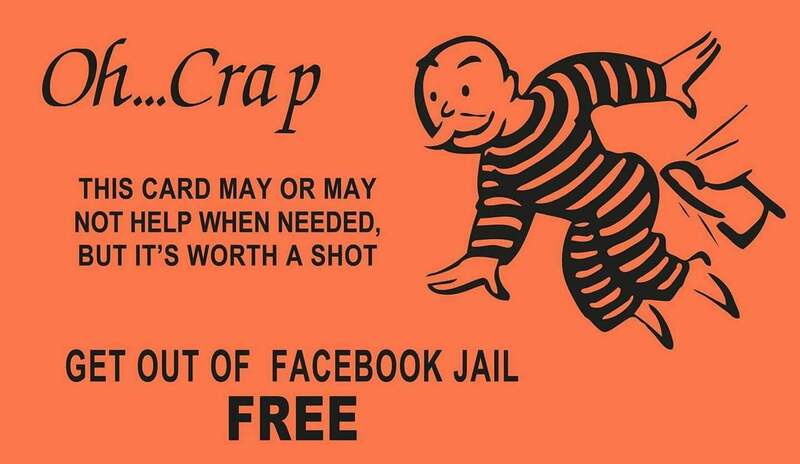 When a cop pulls you over for speeding, don’t hand him a “get out of jail free” Monopoly card. He won’t think it’s funny & you will go directly to jail. I know this now. I swear to god CJ just drew the real life get out of jail free card. Police: You’re under arrest for the 20 crimes you’ve committed! Me: *pulls out my Monopoly Get Out of Jail Free card* Police: Son of a.... he’s clean! Where does get out of jail free card come from? Since Monopoly was introduced by Parker Brothers in 1935 and its popularity has grown, the name of these physical cards have come to have a metaphorical meaning as well. Someone who has an advantage that will get them out of punishment or a special means to avoid a situation that they don’t want to be involved in is said to have a get out of jail free card. The term is often used as an insult to accuse someone of trying to take advantage of special treatment to avoid something unpleasant. It is also common to express a desire to have such a metaphorical card. Sadly, Rich Uncle Pennybags can’t help any of us. Even if you get one of these metaphorical cards, the situation always creeps back up on you, doesn’t it? Who uses get out of jail free card?